He is known as a legend and the best soccer player to ever play the game. He was raised in a very poor family in Tres Coracos, Brazil. Pelé began playing soccer for a local minor-league club when he was a teenager. When he wasn’t playing soccer he shined shoes for pennies. Pelé went on to play in four World Cups with Brazil’s National Team. 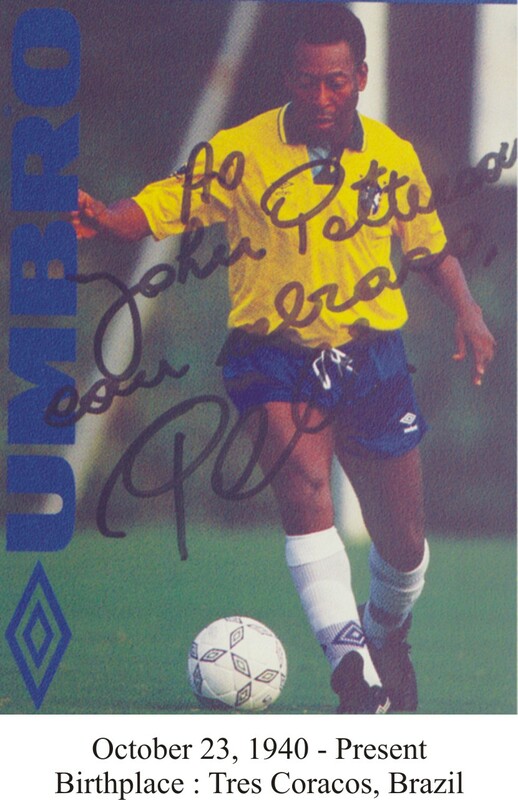 During his career he scored 1,280 goals in 1,360 games, second only to another Brazilian. At the club level he shattered records in Brazil. He scored 127 goals for Santos F.C. in 1959, 110 in 1961 and 101 goals in 1965. Pelé also holds the world record for hat tricks (92) and the international level (97). In 2000, Pelé was named second for the “Sportsman of the Century” award. The legendary Muhammad Ali got the honors.